Well, he might be right there! Warney went on to say that the players were shocked how good Manchester City were in the first ten minutes of the game. 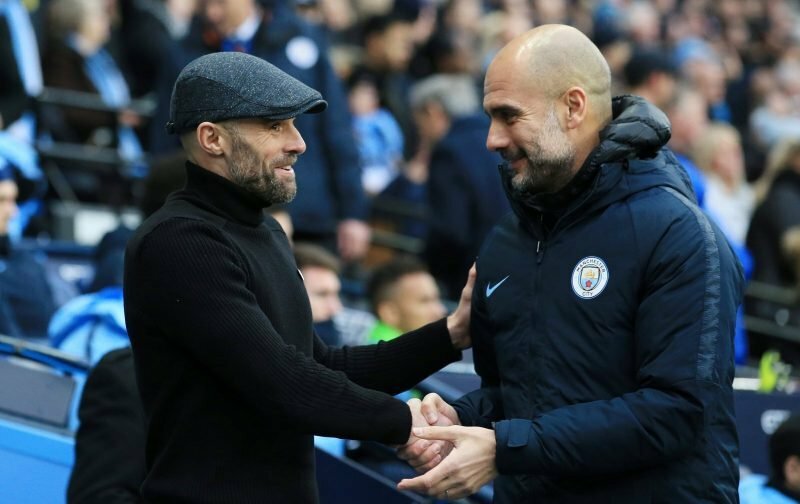 I actually think a lot of people were surprised what a strong team Pep Guardiola played today and I think a lot of us sighed with relief when he took off Raheem Sterling until we saw who he was replacing him with! ‘I thought when we had the ball we weren’t too bad,’ Warney carried on. Yep, but we didn’t have the ball that often did we! Warney said if we’d gone in at one-nil he’d have been really pleased with that and so would I. It’s just a pity that we had to play another three minutes of time added on which was mostly for a linesman change after one was injured. Of course, it was three-nil at half-time which I think really finished it for Rotherham. Saying that, we did have some chances in the second half so it wasn’t all one-way traffic – just quite a lot of it! ‘I don’t feel embarrassed by the score line,’ said the Millers Boss, ‘they were more than deserved of that.’ And they were. I actually enjoyed the game. Even as a Millers fans you can’t not enjoy watching the display City put on today. Well done Rotherham, you fought to the end and heads never dropped.